*Student Summers serves as a summer camp and summer program referral agent. As a referral agent, we charge a fixed percentage to any camp to which we make a referral. Student Summers charges the same percentage to all summer camps that receive referrals. 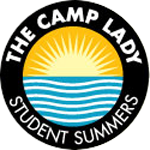 Student Summers only refers camps that have been accredited by the American Camp Association.